We check over 450 stores daily and we last saw this product for £430 at Selfridges. 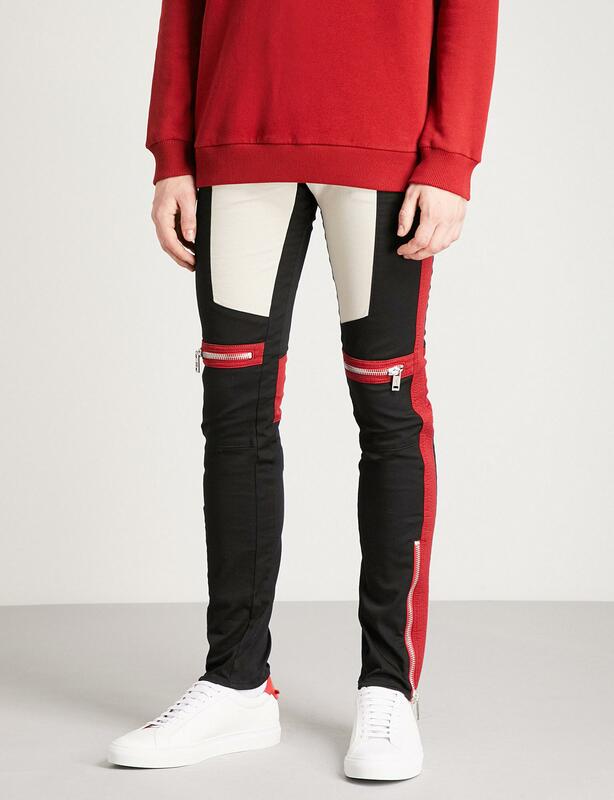 Revving up for a season of bold graphics, Givenchy has got into motocross for Pre AW18. Realised in stretch cotton for a relaxed alternative to leather, these trousers remain slick in a slim fit that's skinny through the legs. References to biker gear come in the form of contrasting panels and zipped details in metal hardware. Take them from the track to the street by styling with a sweatshirt and low top trainers. 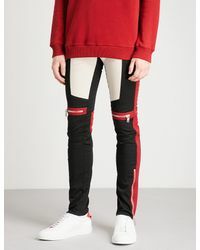 Givenchy stretch cotton trousersConcealed hook and loop and zip fly fastening at frontSlim fit, skinny, mid rise, belt loops, contrast panelling zipped detail at knees, branded hardware, slip pockets at sides, ribbed panel at back yoke, two zipped pockets at back, zipped cuffs98% cotton, 2% elastaneMachine washSize 32: Rise 10", inside leg 34", leg opening 12"Model is 6ft and wears a size 32.